For your convenience, we have already peeled the tomatoes. Practical for when you have little available time but still want to serve a tasty dish. 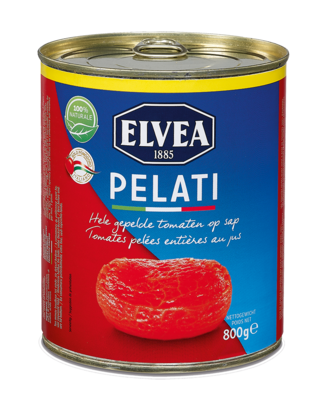 You can use Pelati for all your tomato dishes and it forms an ideal base for all your sauces and soups.